applications where protection/privacy, reserved space or traffic flow control is required . Security Barriers are the ideal solution, if you need to control vehicle transit in public parking areas, car parks, private and block of flats entrances, even when the traffic is heavy. All of our automated vehicular gate barrier system options can be configured to work in many different scenarios and options depends on the requirement of specific clients . some of the technologies used in accessing the controlled and restricted areas through gate barrier are, smart Card Technology, biometric technology, remote opening, push buttons, long range RFID card reading technology. For this we have partnered with leading brands like BFT Italy , which manufactures high quality barrier solutions. In addition, most barrier gate and automatic gate openers can be fitted with solar panels or battery backup systems to ensure functionality during loss of electricity or blackouts. Such gate barriers usually are being operated with smart card RFID readers, remotes, long range RFID readers, Push buttons, loop detectors. We also integrate our gate barrier system with other systems like , parking management systems, parking guidance systems, long range reading RFID card readers ,ticketing software, automatic vehicle access management software and number plate recognition software. We have partnered with BFT Italy and TOPP Italy for providing such solutions. 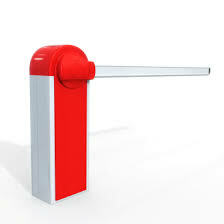 BFT is one of the leading manufacturer of lots of barriers and gate automation systems. BFT distinct in the market for their reliability and stability of their most advanced and innovative products.